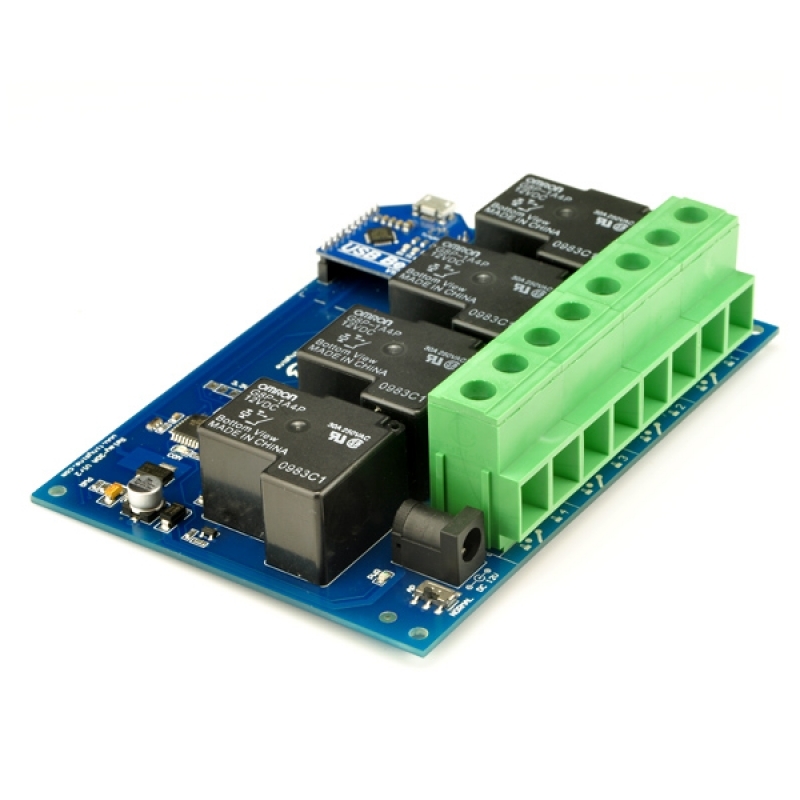 The TSRU430 provides four volt free contact relay outputs with a current rating of up to 30Amp each. 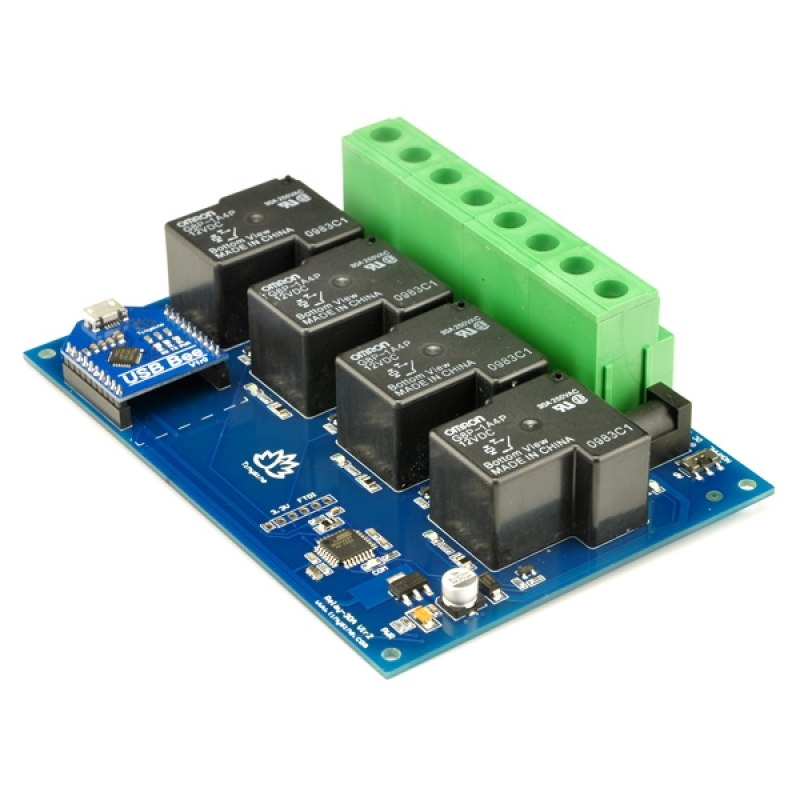 The module is powered from a 12vdc supply. The DC input jack is 2.1mm with positive core polarity, DC supplies are required to supply at least 1A at 12vdc. The relays are SPST-NO types. 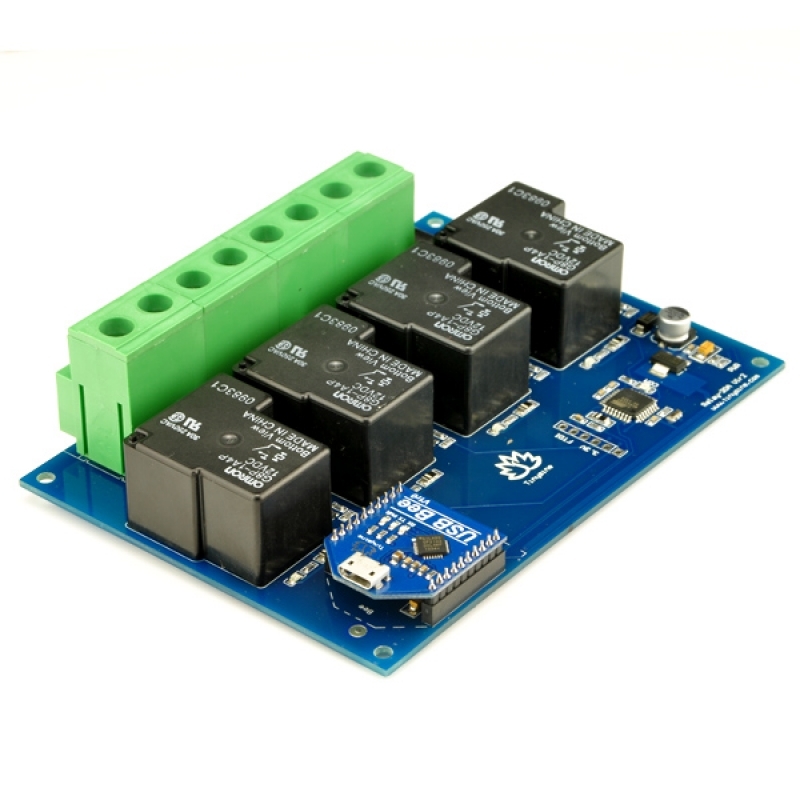 It's a USB relay, You can easily control this relay module by your computer. The communication way also can be changed easily. Remove the USBBee module instead with a BluetoothBee, it becomes a Bluetooth relay. It will be a WiFi relay when you plugged a WiFiBee. Very convenient to use. 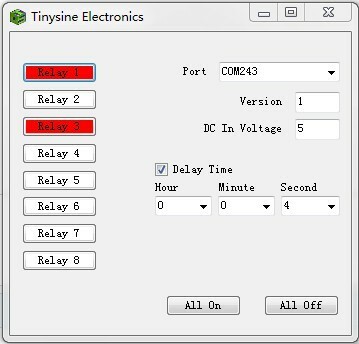 In addition, this module supports delay function that you can set each relay output delay between 0 second~24 hours. 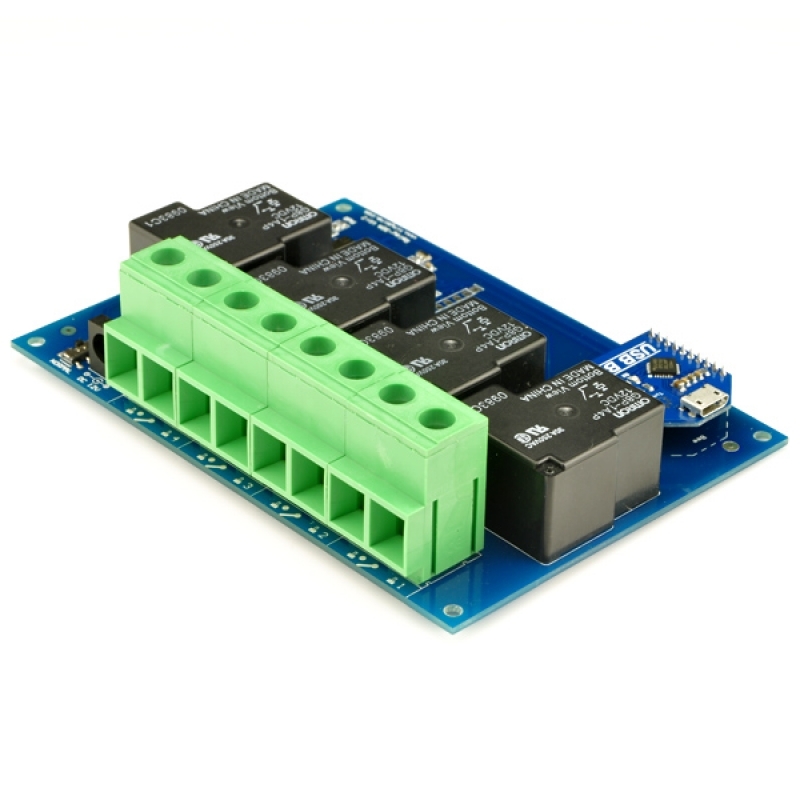 USB Bee module uses a CP2102 USB to UART chip. 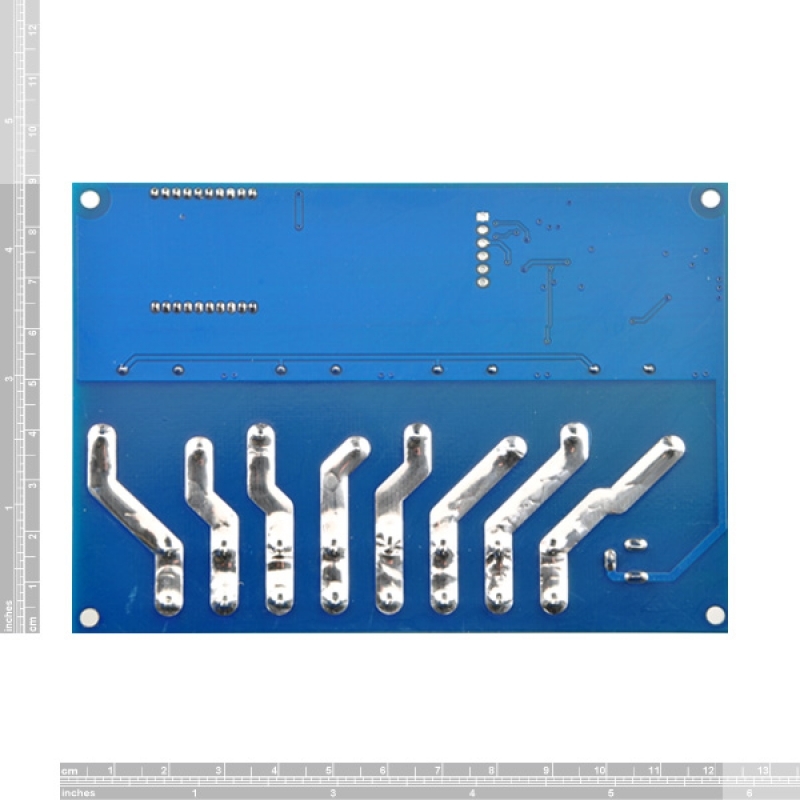 Before using it you need to download the CP210x Driver. 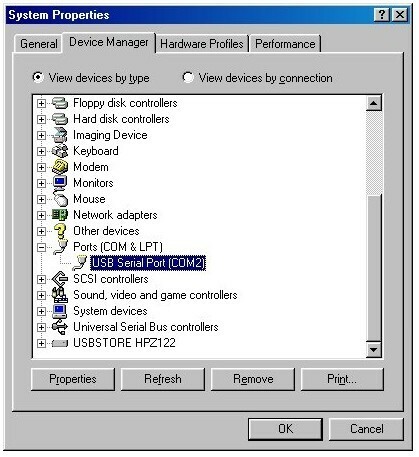 Connect the module to computer's USB port and windows will detect it and ask for the drivers. Point windows to the inf folder and it will install the driver. 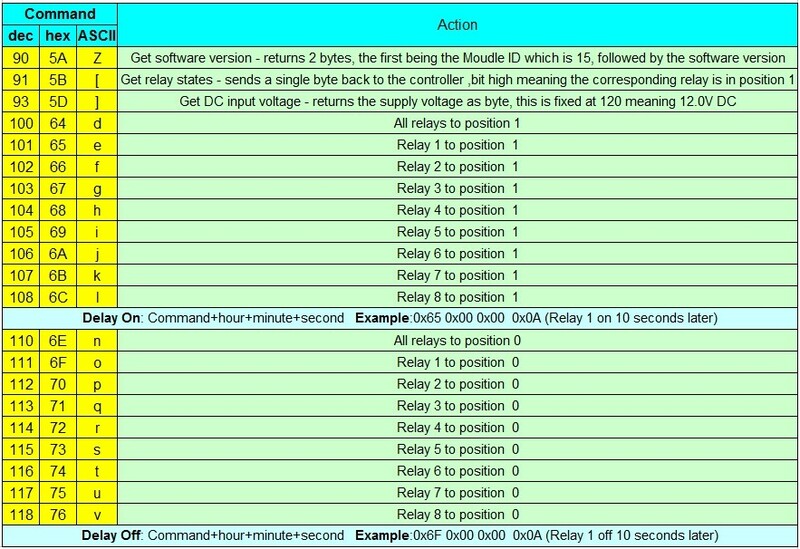 The TSRU430 operates with an easy to use command set as described in the table below. 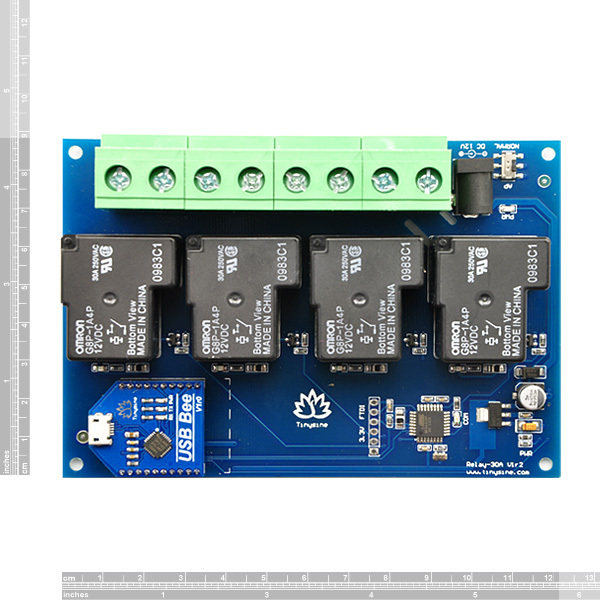 To get the TSRU430 up and running in the minimum amount of time we have put together an example program to demonstrate the functionality of the module.